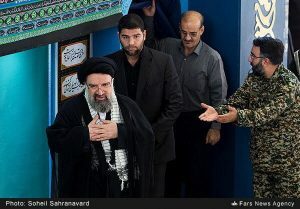 Iran’s Supreme terrorist Ali Khamenei roaming with his thugs. 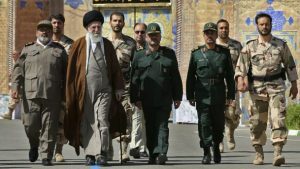 After four gunmen dressed in fatigues opened fire at a military parade in southwestern Iran, killing at least 29 people including women and children, the Iranian Regime raced to blame Israel and the United States. 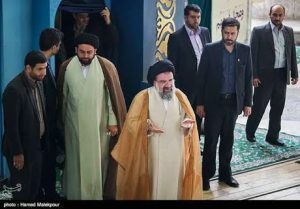 Yes, Iran’s Ayatollahs will praise martyrdom and call for Jihad, but will never engage in it themselves – their luxurious lives are too precious to blow themselves up. 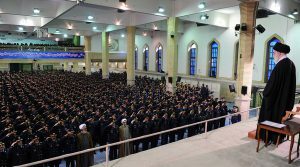 This “Holy Hypocrisy” has been going on for forty years, and Iranians have gotten used to it. 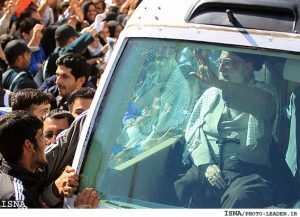 Below are images of Iran’s supreme leaders (terrorists) enjoying life in bulletproof vehicles and detailed personal security. 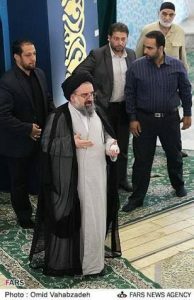 Terrorist Ahmad Khatami believes protesters against the Islamic Regime are guilty of a “Capital Crime”.